ruangrupa is a Jakarta-based collective established in 2000. 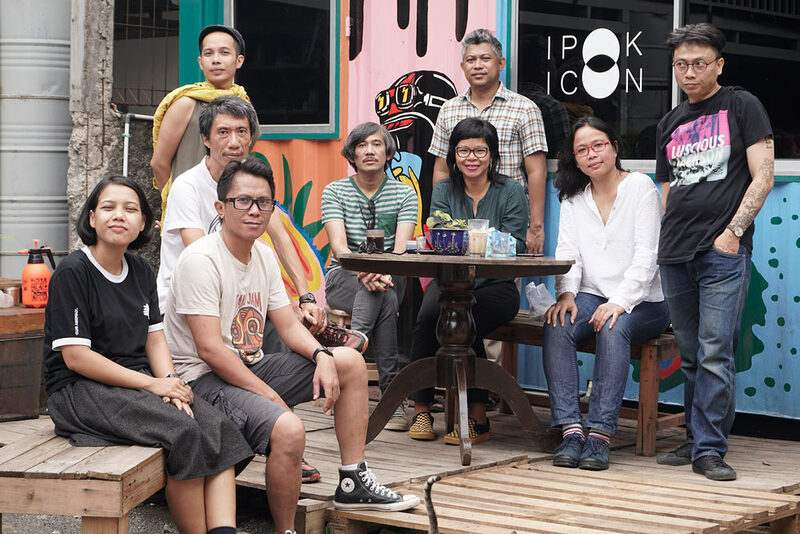 It is a non-profit organization that strives to support the idea of art within urban and cultural context by involving artists and other disciplines such as social sciences, politics, technology, media, etc, to give critical observation and views towards Indonesian urban contemporary issues. ruangrupa also produce collaborative works in the form of art projects such as exhibition, festival, art lab, workshop, research, as well as book, magazine and online-journal publication. 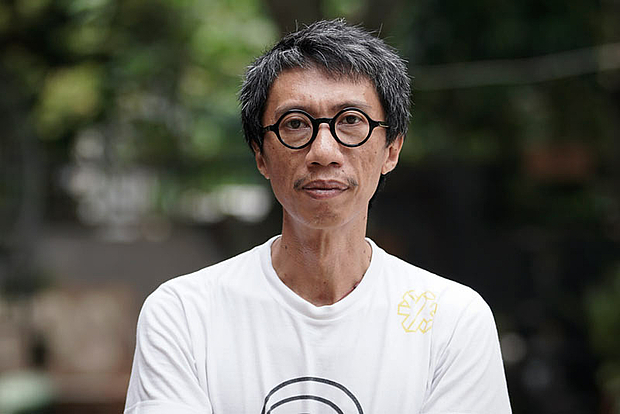 As an artists’ collective, ruangrupa has been involved in many collaborative and exchange projects, including participating in big exhibitions such as Gwangju Biennale (2002 & 2018), Istanbul Biennial (2005), Asia Pacific Triennial of Contemporary Art (Brisbane, 2012), Singapore Biennale (2011), São Paulo Biennial (2014), Aichi Triennale (Nagoya, 2016) and Cosmopolis at Centre Pompidou (Paris, 2017). In 2016, ruangrupa curated TRANSaction: Sonsbeek 2016 in Arnhem, NL. From 2015-18, ruangrupa co-developed a cultural platform Gudang Sarinah Ekosistem together with several artists’ collectives in Jakarta, located at Gudang Sarinah warehouse, Pancoran, South Jakarta. It is a cross-disciplinary space that aims to maintain, cultivate and establish an integrated support system for creative talents, diverse communities, and various institutions. It also aspires to be able to make connections and collaborate, to share knowledge and ideas, as well as to encourage critical thinking, creativity, and innovations. The results of these joint collaborations are open for public access—and presented with various exhibitions, festivals, workshops, discussions, film screenings, music concerts, and publications of journals. In 2018, learning from their experience establishing Gudang Sarinah Ekosistem and together with Serrum and Grafis Huru Hara, ruangrupa co-initiated GUDSKUL: contemporary art collective and ecosystem studies (or Gudskul, in short, pronounced similarly like “good school” in English). It is a public learning space established to practice an expanded understanding of collective values, such as equality, sharing, solidarity, friendship and togetherness. 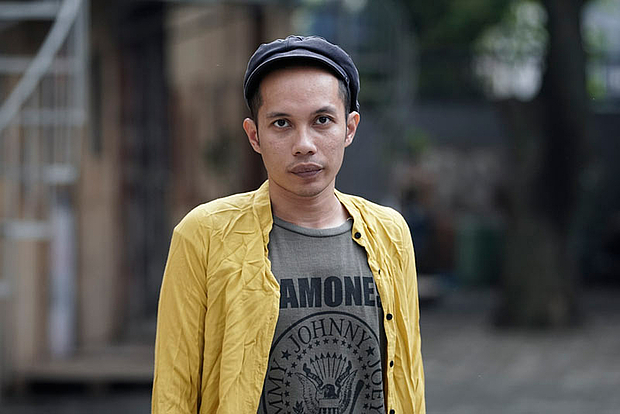 Ade Darmawan lives and works in Jakarta as an artist, curator and director of ruangrupa. He studied at Indonesia Art Institute (ISI), in the Graphic Arts Department. In 1998, a year after his first solo exhibition at the Cemeti Contemporary Art Gallery, Yogyakarta (now Cemeti Art House), he stayed in Amsterdam to attend a two-year residency at the Rijksakademie Van Beeldende Kunsten. His works range from installation, objects, drawing, digital print, and video. Exhibitions include “Magic Centre” (solo show held both in Portikus, Frankfurt, 2015, and Van AbbeMuseum, Eindhoven, 2016), Gwangju Biennial and Singapore Biennale (both 2016) and “Doing Business with the Dutch” (Lumen Travo Gallery, Amsterdam, 2018). 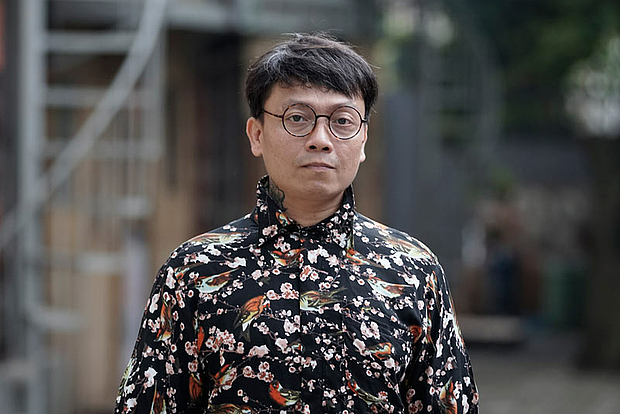 As a curator, he has contributed in Riverscape in-flux 2012, Media Art Kitchen 2013, Condition Report 2016, and Negotiating the Future: 6th Asian Art Biennial in Taiwan. Together with ruangrupa, he co-curated TRANSaction: Sonsbeek 2016. From 2006-09, he was a member of Jakarta Arts Council, which led him to be appointed to become the artistic director of Jakarta Biennale in 2009. He is the executive director of Jakarta Biennale during its 2013, 2015 and 2017. Ajeng Nurul Aini graduated from journalism program, Institute of Social and Political Science (IISIP), Jakarta, in 2010. She was active in Forum Lenteng for several years and worked in various TV programs as a video journalist. 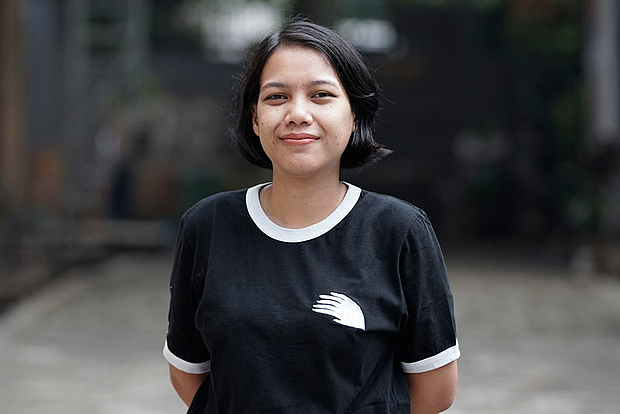 Since 2011, she manages ruangrupa, while working as project officer in many art projects, including Art Project for Female Visual Artists for Jakarta Arts Council and a project officer for the opening for Jakarta Biennale 2013 & 2015. Besides managing various art and music projects and events in Indonesia, she is also traveling Asia as a manager for a vinyl-spinning maternal duo, iramamama. With ruangrupa, she co-curated TRANSaction: Sonsbeek 2016 in Arnhem, NL. Daniella Fitria Praptono is a mother of three children and an artist focusing on children and women. Besides managing regular workshops for urban women and teaching Arts Introduction for Kids in Gudskul, she also manages ruangrupa’s financial affairs. In 2010, she founded rurukids, an after school art program targeting children and their educators—parents, teachers and members of the society—through discussions, workshops and open classes. 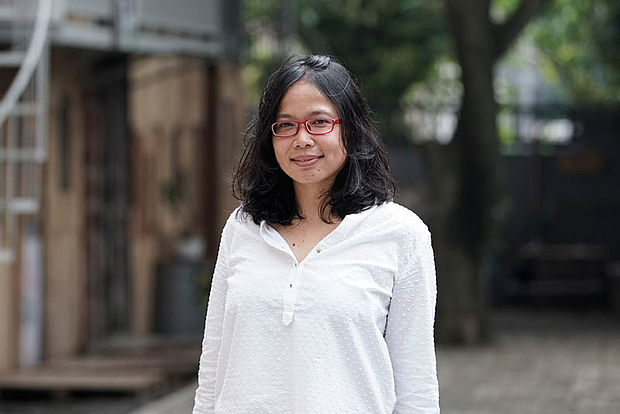 Graduating from Jakarta Institute of the Arts in 1998, majoring in graphic arts, she continuously works as a book illustrator for children and teens. Between 2004-13, she taught arts to elementary to high school students using IB and Cambridge curriculum. She is currently finishing her latest illustrated story book, entitled ‘Toleyot’. Trained as an architect (B.Arch from Universitas Indonesia and M.Arch from Cranbrook Academy of Art), Farid Rakun wears different hats, dependent on who is asking. A visiting lecturer in the Architecture Department of Universitas Indonesia, he is also a part of the artists’ collective ruangrupa, with whom he co-curated TRANSaction: Sonsbeek 2016 in Arnhem, NL. As an instigator, he has permeated various global institutions such as Centre Pompidou, La Biennale di Venezia, MMCA Seoul, Sharjah Biennial, Bienal de Sao Paulo, Harun Farocki Institut, Dutch Art Institute (DAI), Creative Time, Haute école d'art et de design (HEAD) Genève, and basis voor actuele kunst (BAK). He has worked for Jakarta Biennale in different capacities since 2013 and currently serves as its interim director. Since 2001, Indra Ameng has been working as a program coordinator at ruangrupa, with whom he has participated in various art events, including cocurating TRANSaction: Sonsbeek 2016 in Arnhem, NL. He is also working as a Festival Director for RRREC Fest—an annual three-day alternative music festival and art in Jakarta and Sukabumi (West Java) that focused on showcasing music from Asia–from 2011 until now. He is also working as a band manager of Indonesian pop sextet White Shoes & The Couples Company, since 2004. In 2007, with her partner Mrs. Keke Tumbuan, he created The Secret Agents, a duo working on projects involving conceptual art that based on photography and promoting good music in the local music scene. The Secret Agents have been running a music gig since 2008 named “SUPERBAD!” a monthly showcase of indie music at the Jaya Pub Jakarta. Iswanto Hartono is one of the few contemporary Indonesian artists with a background in architecture. Known as an artist with a conceptual base, Iswanto has been exhibiting his works since the late nineties, showing works with a strong social and political content. Iswanto’s works betray his interest in history/memory, globalization, and geopolitical powers, post-colonial, in race/identity. Most of his works deliberately steer away from explosive and responsive artistic expressions and presenting unpredictable idioms. Iswanto is particularly interested in parts of that country’s history that have consciously been forgotten. His previous projects revolved around colonisation and post-colonial debates and the battle of identity in contemporary Indonesia. Some of his latest exhibitions: Beyond Wonder: Perspective of Utopia, Tokyo Wonder Site, Nagoya (2018), DAK’ART 2018, during Dakar Biennale 2018 [Para-Site]; and his latest self-titled solo show, staged in Oudekerk, Amsterdam, during Europalia Indonesia (2017). 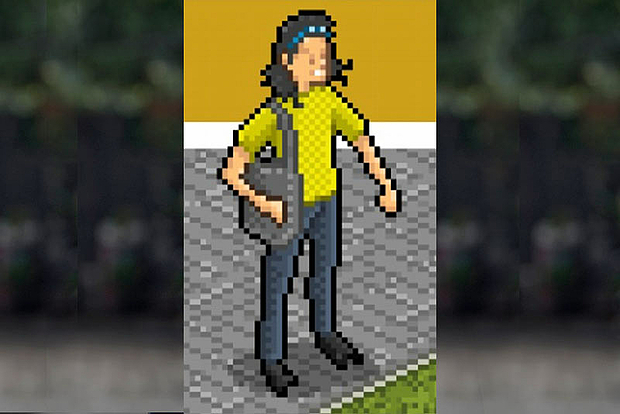 Living and working in Jakarta, Iswanto is an artist, architect, curator and writer. With his partner-in-crime, also in ruangrupa’s ArtLab, Reza Afisina, he established a conceptual duo: RAIH. Julia Sarisetiati graduated from the photography major of Arts and Design Faculty, Trisakti University. In Gudskul, she teaches a subject titled “Collective Sustainability”. 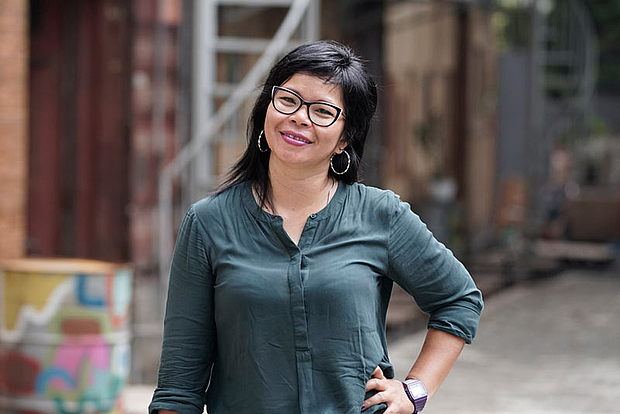 A big part of her artistic practice focuses on Indonesian migrant workforces sustainability and ecosystem. Some of her recent exhibitions includes “SIASAT” Jakarta Biennale, Indonesia (2013); "Hacking Urban Reality Series”, Copenhagen (2016); 11th Gwangju Biennale, Korea (2016); “We’re in this, together”, The Factory Contemporary Art Space, Saigon (2018), and “Choreographed Knowledges", Cemeti Institute for Art and Society, Yogyakarta (2019). In 2017, she curated the media art festival OK.Video, where she exhibited works on the theme of “pangan” (food), developing ideas into laboratory-based research projects to demonstrate and explore economic and social sustainability. Currently, as a curator, she is working towards “RETURNS: Migration Narrativesin Southeast and East Asia” with the Goethe Institute. Mirwan Andan studied at the Islamic Boarding School for 6 years in Watampone and Makassar. From 1999–2004, he studied French Literature at the Universitas Hasanuddin, Makassar. In 2012, he graduated from Political Science in the Universitas Indonesia, while working in ruangrupa as a researcher and developer since 2007. He took part in Jakarta Biennale 2015 as researcher and cocurated TRANSaction: Sonsbeek 2016 in Arnhem, NL. 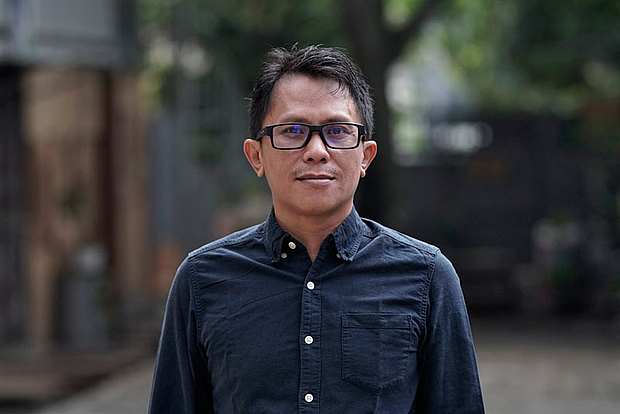 His writing and book editorial works include All for Jakarta – a note on the tenth anniversary of ruangrupa: Decompression #10, Expanding the Space and Public (Journal of Inter-Asia Cultural Studies, 2011); and 20Kuldesak: Networking, Rebelling, Maneuvering, Moving (Kuldesak Network, 2018). Some international forums he has participated in are Independent Creative Art Spaces Leadership Training, Trans Europe Halles & ASEF (Paris, 2007); Enhancing Asia-Europe Meeting Visibility Through Cultural Visibility, ASEF (Halong Bay, 2010); State of Independence: A Global Forum in Alternative Space, Roy And Edna Disney California Arts (Los Angeles, 2011); Youth Initiative and Civic Engagement Training, UNESCO (Jakarta, 2013); Inter-Asia Cultural Studies Society Conference (Surabaya, 2015); Berlin Meeting, Responsibility of Religions for Peace, Federal Foreign Office of Germany and Ministry For Foreign Affairs of Finland (Berlin, 2018) and Ministerial to Advance Religious Freedom, U.S. Department of State (Washington D.C., 2018). From 2016–2018, he worked as advisor for Director General of Culture, Ministry of Education and Culture, Republic of Indonesia. Later he co-founded Inisiatif Rukun and Nasaruddin Umar Office in early 2018, as endeavors to identify, conserve and disseminate the values of harmony and moderate Islam in Indonesia and globally. He now lives in two cities, back and forth, Jakarta and Makassar, mainly for family reasons. He recently opened a small library called Riwanua, at Gudside, Jakarta, while continuously running a project initiative called Jalur Timur in Makassar with his fellow researchers, artists, and cultural activists. Born and based in Jakarta, Narpati Awangga (popularly known as ‘oomleo’) was educated in Prints and Print Making Department of Institut Seni Indonesia (ISI) Yogyakarta, before finally decided to join the collective ruangrupa (Jakarta) in 2002. oomleo creates work utilizing digital art media, while actively involved in various online radio streaming (RURU Radio), organizing music events, workshops and other activities in urban visual art scene. He’s also a member of the electro-pop trio Goodnight Electric, a radio announcer, an illustrator, a column writer, a comic artist and a traveling karaoke program DJ. Reza Afisina is a new media artist who utilizes performance art in his practice. Some of his exhibitions include L'Archipel Secret (Palais de Tokyo, Paris, 2015), World Reversed, 20th Asiatopia International Performance Art 2018 (Bangkok Art and Culture Center), Negotiating the Future, 2017 Asian Art Biennial - The National Taiwan Museum of Fine Arts (Taichung), Ataraxia, Salon Suisse 2017 for the Swiss Arts Council (Venice), and No Country: Contemporary Art for South and Southeast Asia (Salomon R. Guggenheim Museum, New York, 2013). He is serving Asia Pacific Triennale 2018 as an interlocutor. 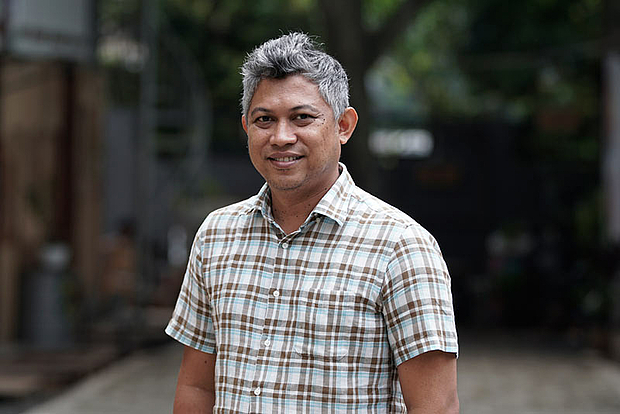 Joined ruangrupa since 2003, he was the collective’s program coordinator until 2007. 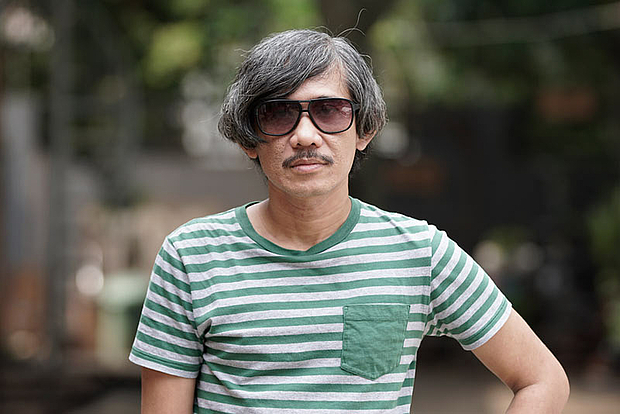 Since 2008, he has been the director ruangrupa’s ArtLab. He co-curated TRANSaction: Sonsbeek 2016 in Arnhem, NL. With his partner-in-crime, also in ruangrupa’s ArtLab, Iswanto Hartono, he established a conceptual duo: RAIH.